Monetary disorder in Buenos Aires (1822-1881), Working Paper, 2017. Book Review: Beyond Mechanical Markets – Asset Price Swings, Risk and the Role of the State, by Roman Frydman and Michael D. Goldberg, Princeton, Nj, Princeton University Press, 2011, 304., Journal of New Finance, Vol. 1, No. 1, January-March 2017. The Natural Rate of Interest Rule, The Quaterly Journal of Austrian Economics (QJAE), Vol. 17, No. 4, Winter 2014. (with Erwin Rosen). Acceda a la revista completa. 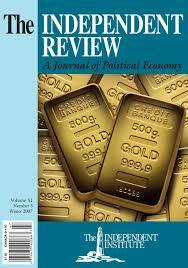 A Proposal of Monetary Reform for Argentina: Dollarization and Free Banking, The Independent Review. A Journal of Political Economy, Volume 19, Number 4, Winter 2015. (with Nicolás Cachanosky). The Current "Unsustainable Boom" in the Argentine Economy, Procesos de Mercado, Revista Europea de Economía Política, Volumen X, No. 2, Otoño de 2013. Dynamic Monetary Theory and the Phillips Curve with a Positive Slope, The Quaterly Journal of Austrian Economics (QJAE), Vol. 16, Num. 2, Summer 2013. 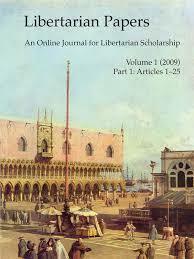 Rethinking Capital Based Macroeconomics, The Quaterly Journal of Austrian Economics (QJAE), Vol. 14, Num. 3, Fall 2011, pp. 347-375. The principle of the non-neutrality of money. A response to Dr. Humphrey, Procesos de Mercado, Revista Europea de Economía Política, Volumen VIII, No. 2, Otoño de 2011, pp. 263-284. The History of Thought in the Education of an Economist, Laissez Faire, 33, Universidad Francisco Marroquín, ISSN 1683-9145.